Available in 3KW, 4KW, 5KW, 5.5KW (single phase) and 10kw (3 phase), these hybrid systems offer an excellent all-in-one solution of off-grid inverter + grid-tie inverter + battery charger. 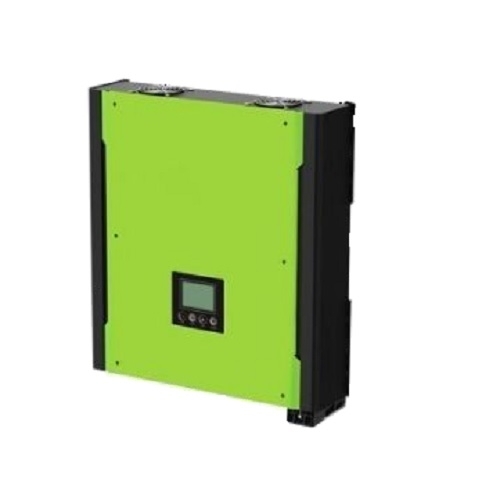 Able to accept PV input voltage up to 900V (5K, 10K only) with MPPT functionality, the Hybrid family can support up to max PV array sizes of up to 14.85KW. This enables users great flexibility in running load as well as feeding extra solar power back to grid. When grid fails, these systems will switch to battery source like an off-grid inverter and keep load backed up. The bundled monitoring software, SolarPower, offers powerful features which allow users total control and access to a wide variety of operations to meet all types of demand. Hybrid models are fully compliant to and certified in VDE (Germany) and CE standards.